While completing a lab on the chemical changes to matter I captured this team of girls causing the combustion of a gummy bear. Notice the smiles! 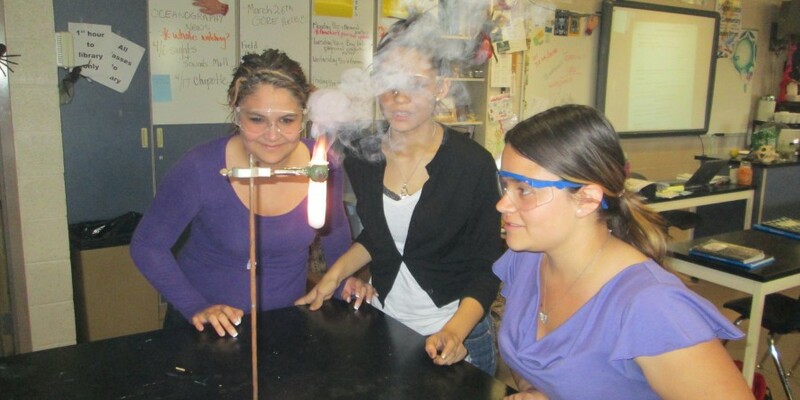 Engaging students to love science at a young age is what education is all about! This lab was student centered, directions given and then the students develop the hypothesis and design the proportions to their experimental design!